"The next good mood I find my father in, I'll get him quite discarded" With these chillingly offhand words, Beatrice-Joanna, the spoilt daughter of a powerful nobleman, plots to get rid of the family servant who has crossed her once too often. 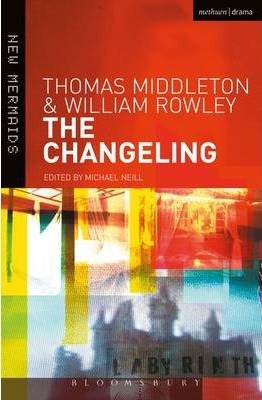 The Changeling remains one of the most compelling tragedies from the 17th century. Exposing the vexed relationship between servants and masters, setting notions of 'change' against the revelation of psychological 'secrets' as ways of explaining human behaviour, and exploring the idea of love as a 'tame madness', the play reveals the terrifying consequences of ungoverned sexual appetite and betrayal. Despite its seemingly domestic focus, The Changeling has much to reveal about the gathering social and political tensions that were to plunge England into a destructive civil war within twenty years of its first performance. This new student edition contains a lengthy new Introduction with background on the authors, date and sources, theme, critical interpretation and stage history. The editor, Michael Neill, is Emeritus Professor of English at the University of Auckland. He has edited Shakespeare's Anthony and Cleopatra and Othello for the Oxford Shakespeare as well as Selected Plays by John Marston and a volume of essays on John Ford.